The concluding season of Game of Thrones is finally coming, with only a few weeks until the first episode. This will be the last chance we get to enjoy a show that has been keeping us on the edge of the seat for years, which is sad in a way, but many around the world are looking forward to finally seeing what will undoubtedly be a conclusion to one of the greatest shows ever made. However, not everyone will get to see it at the same time, and depending on where you live – you might not get to see it at all. At least not with some help, which is where a VPN comes in. 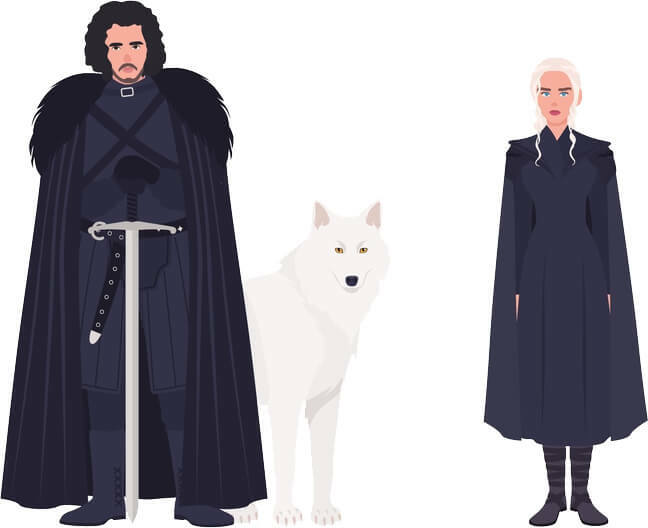 With a good VPN, you don’t have to depend on having cable TV, or even being in the right country at the right time – you can sign up to YouTube TV or HBO Now via a VPN and enjoy the conclusion of Game of Thrones just like everyone else. How to watch in any country? As mentioned, a VPN allows you to access any online service from anywhere in the world, as long as you choose the right VPN provider. One great example of this is CyberGhost, which features servers all around the world and it works great with YouTube TV or HBO Now. 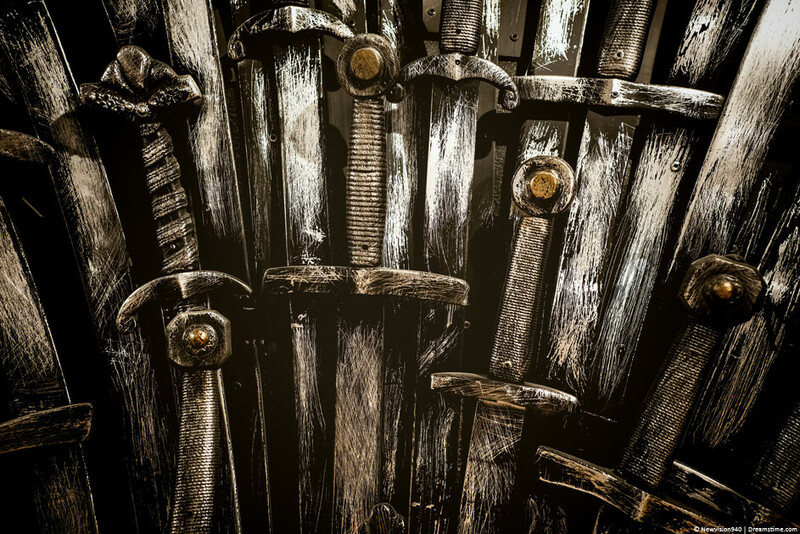 Since Game of Thrones airs on HBO, both of these services will instantly allow you to enjoy the new episodes, and the high speeds offered by CyberGhost servers will make it easy and enjoyable to stream episodes without annoying buffering or similar streaming issues. Connect to the US-based server. Go to HBO Now website and hit ‘Start your Free Trial’. Enter Zip Code ‘90210’ and hit ‘Create Account’. Enter your credit card or debit card details, and choose California, with the already mentioned zip code. Enjoy your new HBO Now account and watching Game of Thrones. Connect to the US-based server and then go to YouTube TV website. Choose ‘Try it free” option. Select PayPal as your billing method (you get 5-day free trial). Log into YouTube TV and enjoy streaming GoT Season 8. How to watch outside the US? If you happen to live outside of the US, you can still enjoy the show just like those within the country. ExpressVPN is another excellent service which can help you do this, as you will need a bit of help to access the US programmes, including HBO. Just subscribe to the service, install its app, and connect to one of its 3,000 servers which can be found in one of 180 locations. Of course, you need to be sure that you have chosen a server in the US. Otherwise, you might experience the same difficulties as you do without a VPN. Enjoy your new HBO Now account, and all the shows it offers. You also have a choice to connect to the servers based in the UK, if that is your preference. Now, the UK is infamous for its geo-restrictions, and it is known to block VPN servers, which makes most VPN apps useless when it comes to accessing UK-based content. However, ExpressVPN is one of a few services what will work in this case as well. If you choose to connect to the UK servers, you can watch the new season of Game of Thrones on Sky Atlantic, or via the Sky Go app. You will, however, need a Sky subscription in the first place. However, you will once again have to employ ExpressVPN to access these services and be able to watch the new season in its entirety. The same is true for UK citizens that will be out of their country when the final season premiers. The UK geo-restrictions will view you as an outsider even if you already have an account on Sky Atlantic. However, ExpressVPN can get you in, as mentioned. If you live in Canada, you can access all of the Game of Thrones episodes easily on Crave. However, if you wish to use this service outside of the country, a known issue with geo-restrictions might prevent you from doing so. However, this scenario is also nothing more than a minor difficulty when you have a VPN, just like in previous examples. For the purpose of unlocking Crave, you can, once again, use ExpressVPN. The service has a large number of servers in North America, with a lot of them being located in Canada, which should prove quite valuable if you are used to using Crave. Simply access your account from anywhere in the world, and you will be good to go. If you are Australian, you probably already know that Foxtel will allow you to watch the new season of Game of Thrones, and in that case, you only need to wait a few more weeks until the show airs. However, if you are Australian and you find yourself outside of Australia, you might discover difficulties when trying to access your Foxtel account. If that ends up being the case, just like in previous examples, ExpressVPN is your one-stop shop. Simply acquire the service at one of the offered packages, and you will easily be able to connect to a server in Australia, which will grant you access to Foxtel Go allowing you to watch GoT overseas. It already holds all of the old episodes, with new ones arriving shortly. If you do not already have a Foxtel account, you will have to subscribe, but the process is very easy and straightforward, and you should have no troubles with getting it done. When is Game of Thrones Season 8 shown? As you may already know, Game of Thrones Season 8 is scheduled to premiere on April 14th, 2019. This makes it less than one month away, and soon enough, fans of the show will finally be able to find out the fate of their favorite characters. Furthermore, we will get to see who will sit on the Iron Throne in the end, but also whether or not the world will be able to protect itself from the invasion of White Walkers. The show has not released a lot of details as of yet, which makes fans even more excited, and this season will likely see more plot twists than ever before. Don’t let Facebook spoilers destroy your experience – get a VPN and be among the first to view the new episodes by unblocking your favorite streaming service wherever you find yourself in the world. 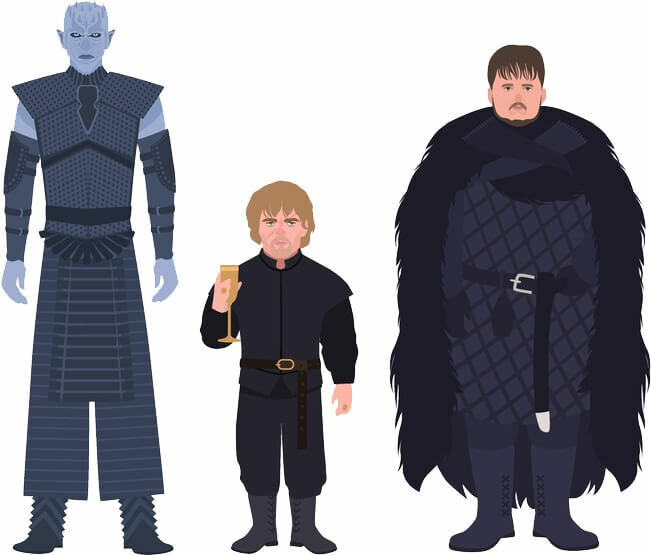 For many people, the end of Game of Thrones will be the end of an era. As such, it must not be missed. This might be difficult depending on your location at the time when episodes air, but with a simple VPN, you can solve that problem and connect to your favorite streaming service. If you are located in your own country and you don’t have cable – sign up to YouTube TV or HBO Now via a VPN, and watch from any country in the world. You’ll need to stay connected to the VPN app to stream each episode. And, don’t forget – a VPN allows you to unblock and connect to any service, which means that you might want to consider keeping your VPN even after the show is done. There will be many others which you can watch by using the same method, and you never know what new opportunities might present themselves in the meantime, with the entire internet open to you.